Learning language and communication is a universal experience for children across cultures. Children develop communication and language skills in the context of their own culture and through meaningful relationships. 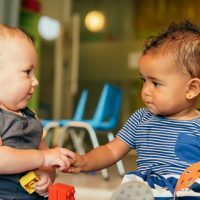 Children spend the first year of life building the foundation for language, as they absorb what they see and hear through interactions with their caregivers and their environment. During this time the brain is preprogrammed to learn language. The process of learning language involves nonverbal communication, processing and understanding sounds, and producing sounds.1 Even with the complexities of language, children’s abilities to communicate and acquire language are remarkable. Children learn language through their interpersonal, social interactions with their care- givers. 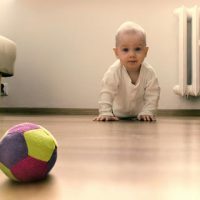 Throughout the Guidelines, language development, communication, and literacy are referencing children’s development in their home, or primary, language, regardless of whether or not this language is that of the majority. Language is part of communication. At first, children do not have language but they have the ability to communicate. Children use nonverbal and verbal communication to express their needs. They cry, grunt, and use body language. As they get a bit older, children use strategies such as sign language and gestures to communicate their needs before they are able to verbally express them. These communication strategies also support children who have language delays or hearing impairments. Children depend on attentive caregivers to understand and respond to these communication attempts in order to have their needs met. Caregivers who respond thoughtfully and promptly provide a positive model for shared communication that all children can build upon. These early reciprocal interactions provide the model for back-and-forth patterns that are important for social communication. In infancy, children may respond to a caregiver’s voice by making eye contact, smiling, or cooing. Verbal children will engage in this same pattern, except they now use some words to communicate. These experiences provide the foundation for understanding the rules of turn-taking in conversations that children will use when communicating with others. Children build their vocabulary and understanding through interactive experiences. They are not able to verbally express everything they are thinking, but they can understand more than they can say. 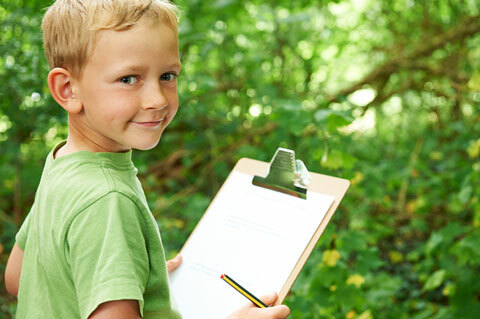 They demonstrate their understanding by pointing, gesturing, or following simple directions. Older children understand more complex requests, such as two-step directions, with less prompting. Their ability to verbally communicate also improves. In the first year, children are practicing their expressive language through babbling, which takes on the sound of their home language. Around 12 months of age, first words emerge. Children’s first words are embedded in their cultural context and are usually names of meaningful objects and people. Eventually these singleword utterances transition to two-word combinations, and at 36 months, children are able to form short, simple sentences. An important part of language and communication development is early literacy. 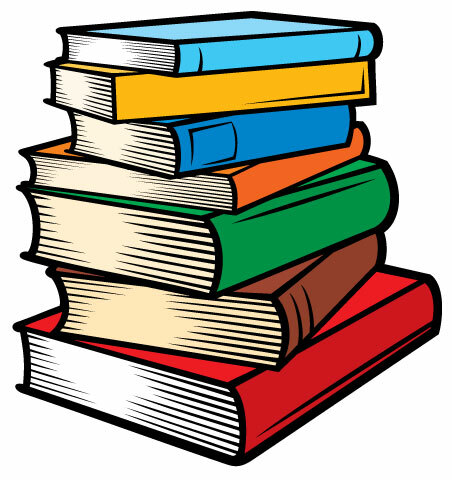 Early literacy is the foundation for reading and writing. 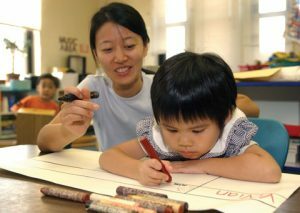 Children learn about early literacy through everyday experiences with literacy tools such as books, paper, and crayons. Reading, singing, and drawing are all meaningful activities that caregivers can engage in with young children to help support early literacy development. While children are not expected to read or write by 36 months, these positive, interactive experiences will serve as building blocks to develop literacy skills in the future. Lessow-Hurley, J. (1999). Foundations of Dual language Instruction, 3rd edition. Reading, MA: Longman.